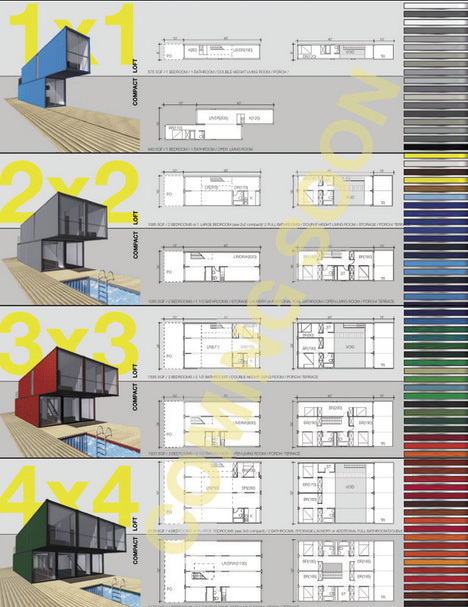 What’s involved in buying, designing and building cargo container homes that are more than just art projects? Cargo container homes are a perfect example of thinking outside the box while living inside one, but thinking is one thing and doing is another. Careful planning is required before building and moving in. 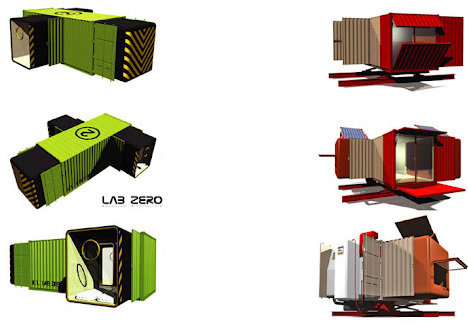 There are several fun and practical reasons to live in a cargo container home. First of all, it’s cheaper for a shipping company to buy new containers than to transport empty ones back to the origin, creating a stockpile of containers in port areas that container home builders in the right place at the right time can obtain for the right price. Furthermore, most containers are made of metal which makes them sturdy even when stacked – not to mention resistant to weather, fires, and other natural (and unnatural) elements. 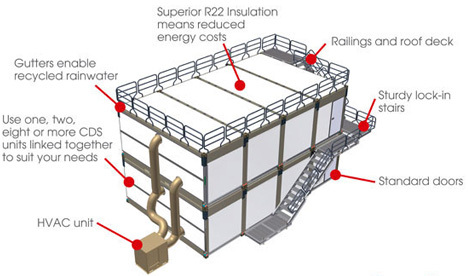 They’re available in a variety of sizes (with most common being 8 feet wide by 8.5 feet tall by 40 feet long) that are ideal for modular housing and office use. Finding a cargo container isn’t all that difficult. 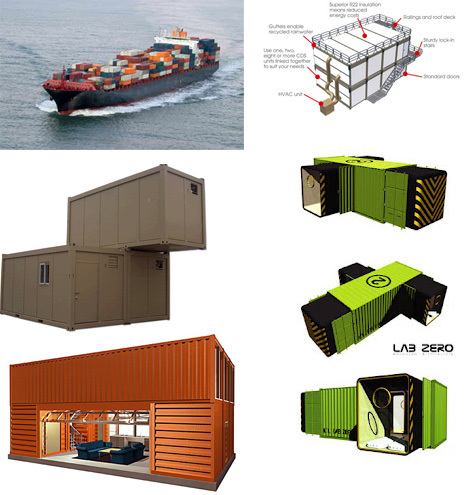 There are numerous online shipping/transportation directories like Sea Boxnd American Mobile Office that specialize in pre-fab offices based on former cargo containers. So-called bulktainers make the best modules as they are made of metal and have been used to ship dry goods on transoceanic voyages. The container’s ID number can be used to determine the container’s age. 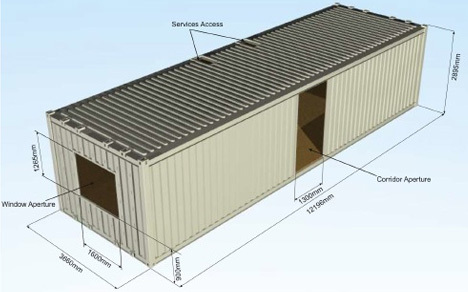 Once a suitable cargo container (or containers) has been located and met the buyer’s specifications, you can negotiate a very reasonable price of a couple thousand dollars each, plus shipping to the purchaser’s location. Depending on what the plans are for the project’s final use, designing cargo container homes is relatively uncomplicated. The modular format necessitated by the shape of the containers tends to limit freedom of expression but also lends itself to practical, form-follows-function formats. An excellent example is the pre-fab, DIY Container Home Kit from LOT-EK that employs 40-foot-long shipping containers joined and stacked in various configurations. Following LOT-EK’s detailed plans, a stylish, modern cargo container home from 1,000 to 3,000 square feet in area can be built in surprisingly little time. Whether it’s a single-family home, small or large apartment, school or community center or even an office complex, cargo containers allow for fast construction and long term sustainable use. The most complicated facet of the job is typically installing utilities such as plumbing and electricity, though anyone with at least basic contracting knowledge can handle what’s necessary. If not, companies such as Sea Box will install ready-to-go lighting and electrical systems with cargo containers ordered from them. Checking to see that the project conforms with the local building codes is paramount – luckily most if not all the required information and application forms are available online. Small homes are naturally the simplest types of cargo container homes, often requiring just one single large container. In this modular building block, windows, doors and utility access points must be cut with arc welding equipment – a job best left to professionals as mistakes are not easily reversed. The result may look outwardly like an average house trailer but is much stronger structurally. Municipal authorities and commercial construction firms have built group homes, community centers, industrial parks and office complexes using low-cost or surplus cargo containers that provide an affordable way to create practical living and working spaces. Utilizing surplus cargo containers in home, community and commercial construction projects is a common sense solution that solves a number of problems for suppliers, builders and homebuyers. No trees need to be cut down nor does metal have to be mined and smelted. 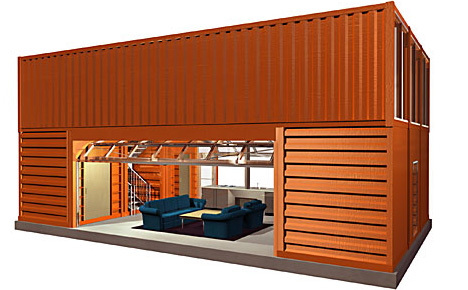 Cargo container home and offices are, in essence, eco-friendly alternatives that are sure to see more widespread application as time goes by and precious resources become ever more scarce.